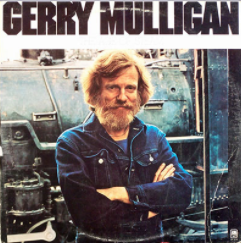 Darien Library will screen a documentary, “Listen: Gerry Mulligan,” on the Jazz legend who spent the latter part of his life in Darien, dying here in 1996 at the age of 68. It is rich with footage of the artist himself; performing, interviewing and teaching, as well as interviews with friends and musicians, and insights into the depth of his musical genius, by Jon Newsom, then “Chief of Music” at The Library of Congress, Dave Brubeck, Wynton Marsalis and others. Mulligan’s papers were donated to the Library of Congress, and in 2009 the library placed Mulligan’s saxophone on permanent exhibit, according to the Wikipedia article on the musician.